I am proud to present to you a brand new weekly section on Complex Man Blog: welcome to Photo Friday! In a time where every girl randomnly purchases an overpriced camera, gets a flickr account and starts calling herself a photographer, Complex Man decided that it's time to separate the wheat from the chaff. These fisheye-lense-abusing amateurs seem to forget that photography is art, and art requires talent, skill and practice. 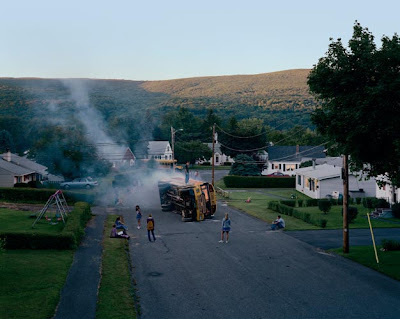 This is exactly why Complex Man brought in a professional photographer to host Photo Friday: Simon Baerts has a Master's Degree in Audiovisual Arts, is a webdesigner and a certified writer. Simon will carefully select a couple of picures for us every Friday from now on. You might want to check out and support his newlyfound enterprise called Wolk Creative. 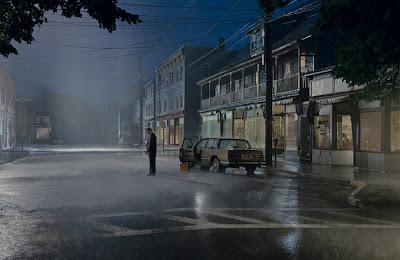 As a kickoff, Simon selected two pictures by Gregory Crewdson. Hope you enjoy!